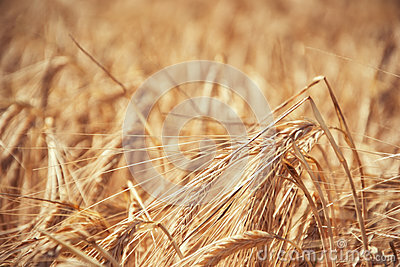 Close up of ripening yellow barley ears on field at summer time. Detail of golden barley Hordeum vulgare spikelets. Rich harvest .